In 2010 Andrew Lees Trust realised its long term strategy to hand over to its local team, now launched as an independent Malagasy NGO, Andry Lalana Tohana. The team have benefited from ten years of working on the Trust’s field programme and have significant field and managerial experience. 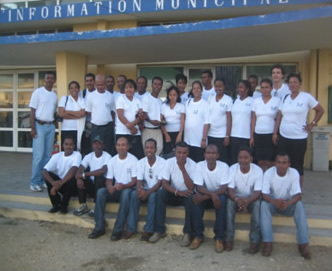 They have begun their own development programme and demonstrate they possess the professional capacity to make them a leading force in the development sector in southern Madagascar.